Custom Tags – First off, sorry about losing your existing settings, but there’s no clean way around it, really. Besides, it’s three small settings that not many people are using, so I’m just saving time and complexity for a one time change. Basically, you can now have up to ten different custom tags. 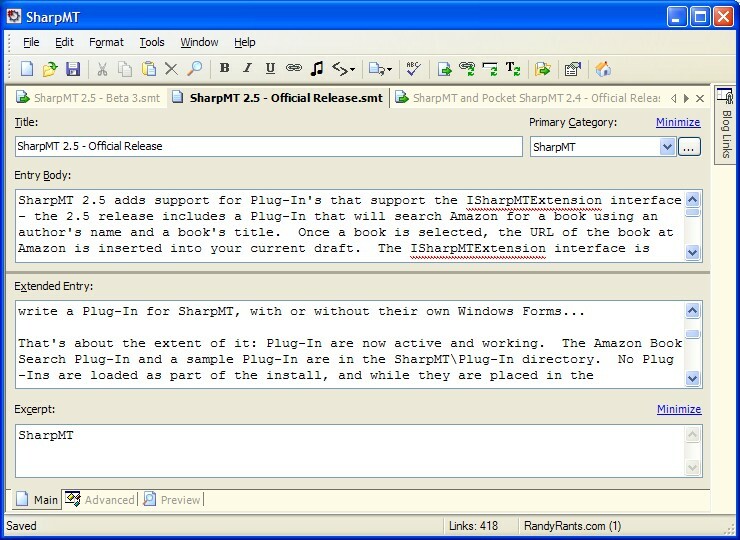 They will appear off a popup menu on the Format menu and via the new toolbar button, that also has a popup menu off it. Also, instead of having “Custom tag 1” as a label, the tags are now represented on the menu. The tags are also numbered 1-10 on the menu as a menu accelerator and have shortcut keys Ctrl-1 to Ctrl-9 with Ctrl-0 acting as the tenth key. Also, because the tags have gone from 3 to 10, there’s a new way to add them, which should be fairly obvious on the Tags panel of the Options dialog. Toolbar – Nothing major from a visual perspective, aside from the new tags button, but the entire underlying code has changed… the version I had wouldn’t allow drop down buttons and the new version did, so what better time to upgrade? Seemed like a good idea until I noticed that there were 104 new errors and shortcuts are implemented differently… it’s all working now, however – at least I haven’t found anything to be broken. Help System – Proofread a second (and last) time and updated to reflect the new tag-related features. Multi-level Undo – I started the day off by taking a look at this and it was shelved before the morning was over. First off, the TextBox that I’m using doesn’t want to let go of the built-in Undo functionality, so even if I did put it in, there would have to be a massive hack to get it working on these control. And then I looked at RichTextBox – that has a few levels of Undo/Redo built into itself. I figured that would be the way to go until I realized that the spell check control doesn’t support RichTextBox. I think I found that out before, but even if I did, I was quickly reminded that it doesn’t work there. Given the option of Undo/Redo and spell check, I’m going with spell check. I’ll also do another poke around online to see if there’s a custom edit box that has better Undo support and that is based on TextBox – that would address both problems but the last time or two I’ve looked I’ve come up empty. Thats it for this round! A bit on this: This SHOULD be the last beta, so if there’s anything broken (or ugly) please let me know ASAP! Thanks! You know what I noticed, I currently run the 2.0 beta and it stopped coverting the line breaks. 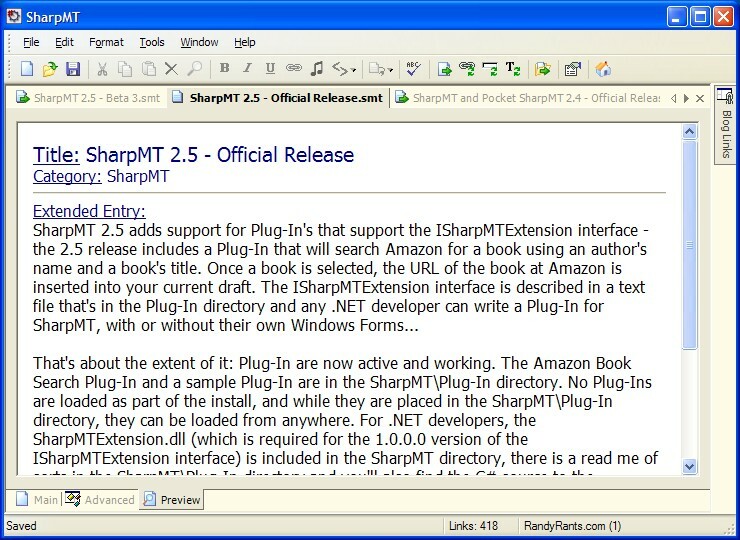 Well, tell the truth it never did so I just used the MT blog entry editor. I’ll try this one out and if I still have the issue I’ll let you know. Otherwise, this is still the best out there. Please do – I’m pretty sure it was the Text Filter ordering… I never had more than just the initial filters so someone else pointed it out to me and helped me fix it. Seems that my line breaks are back.